Domain Support Ltd commissioned Rye artist (and former Mayor) John Breeds to paint an A3 elevated map of the town to work hand-in-hand with the Rye Audio Tour. 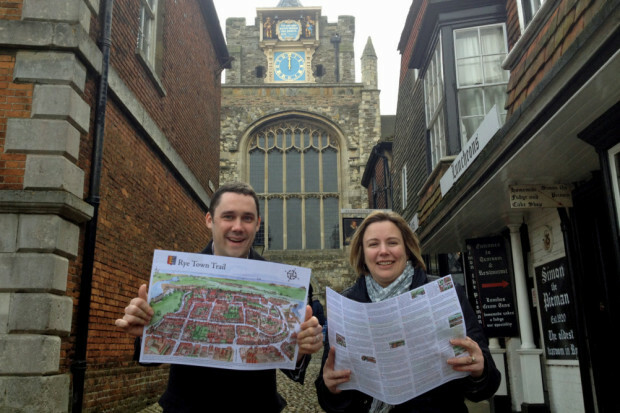 The trail takes you on a journey through history around Rye’s ancient streets. The trail can be purchased for just £1 at The Mint Arcade, 71 The Mint, Rye, East Sussex TN31 7EW from 10am until 4:45pm Wednesday to Saturday. Please call 01797 225 952 to confirm the shop is open. If you are interested in selling the Rye Town Trail to your customers, please contact us.